Just want to wish all my readers a very Merry Christmas. I hope you all got great gifts from Santa and get to eat lots of cake - just remember to sleep it off afterwards. And no late night baking, or you'll be too tired to eat it come meal time. How sad it is to see the season come to an end, and all the great shows we've watched screen their finales. It has been a tremendous year for anime with some strong contenders like Fate/Zero, Guilty Crown, Chu-2 and Sword Art Online. My list could continue, and truly, I'd need a top 20, not just 10 to list all the quality shows we got to watch this year. I can only hope that 2013 will continue to provide us with the same calibre of entertainment. In the Winter 2012/13 season, there are a few anime that I suspect will be the ones to watch for. The first of these being Da Capo III. The multi-series anime has made a big name for itself and has a large following. I'm sure there are many excited to see the show return in its third incarnation. Another two are Amnesia and Vivid Red Operation. Vivid Red certainly is stealing a large chunk of the spotlight for the winter season, yet the story of Amnesia sounds very intriguing and will probably make for a serious and dark story - the total opposite of Vivid Red's light-hearted fun. But most of all, Savannah Game sounds like it will take my interest the most. I've always been partial to anime based around virtual reality games, and we've certainly had a few come out this year, including the smash hit, Sword Art Online. Now we get a fourth game-themed anime for winter. Of course, with the popularity of the first season of Chihayafuru, we are likely to see that continue in January with the screening of the show's second season. Maoyuu Maou Yuusha looks interesting, but I'm still a bit on the fence with it due to the poor sounding synopsis, but I've always been partial to anime with swords in them, and this one looks to be no different - I'll hold out until I've seen the first couple of episodes before passing judgement on it. 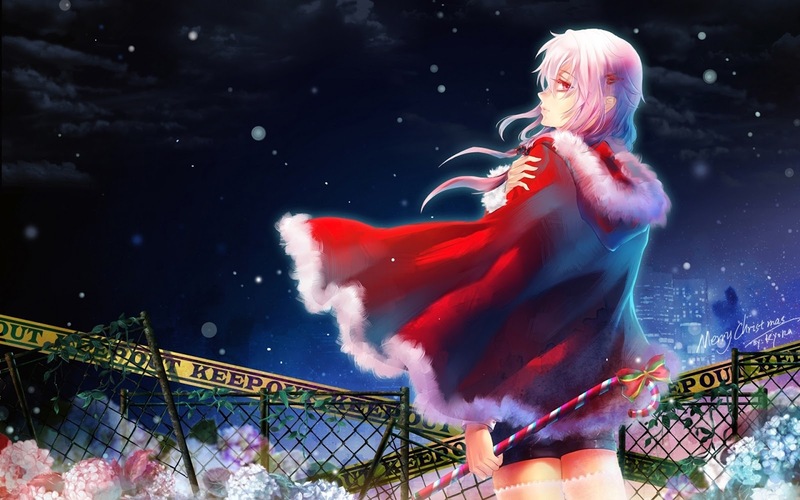 With that said, Merry Christmas fellow anime fans and keep on watching!